CAA In-house program is registered with the Little League International Softball program. Today Little League® is the world’s largest and most respected youth sports organization with more than 2.3 million participants playing Little League Baseball and Softball in all 50 states and more than 80 countries across the world. 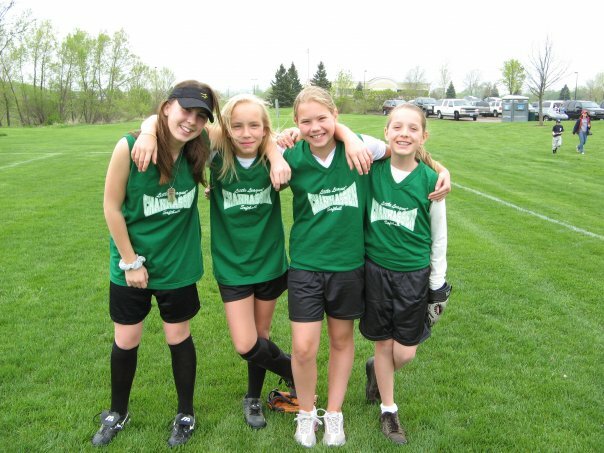 Little League Softball provides an outstanding foundation for program safety, coach & player training, and insurance. The CAA In-house teams play their games as part of the 3CV League (Carver, Chanhassen, Chaska, and Victoria). In-house divisions are set by current school grade: Grade 1/2, Grade 3/4, Grade 5/6, Grade 7/8, and Grade 9-12 High School. Teams will typically have two activities per week with a combination of practices and games. The culmination of the 3CV season is an end of season tournament. Why Little League Softball? Our association has enjoyed the program benefits from Little League affiliation for many years. These benefits include volunteer background checks, Board training, Coach Resource Center, player development training aides, league safety program, post-season tournament opportunities, and player insurance. Little League is a perfect match for our in-house program. In 2016 we will not have an evaluation day. The purpose of the Evaluation Day is to assess the player's skill level and use this information for the team player selections. The intent of the team player selection is to balance each team to ensure a competitive division. An outstanding Softball season can't happen without volunteer help from the parents in our association. Parents are expected to volunteer to help create the best possible experience for our players. There is more information on volunteer opportunities at the Volunteer Information page. Team volunteers are needed for Team Manager/Safety Officer, concessions, field preparation, and of course coaching. Division Information. Divisions are based on the players school grade at the start of the season (current grade). Grade 1/2 Coach Pitch Minors. This is a coach pitch division and uses a yellow 11 inch soft sided safety softball. The Softball Chairperson and the Age Coordinator will form the teams based on a random numbering of the registered players. To the best of their ability they will honor the requests for Reciprocal Buddies. There is no maximum nor minimum number of players required for each team however, the intent is to balance each team with 10-12 players (11 is ideal). Games and practices are planned for Tue and Thur with some schedule changes due to weather or field availability. This division participates in the mid-season and end-season tournaments. Grade 3/4 Minors. This is the first division with player pitch and uses a yellow 11 inch soft sided safety softball. Pitching distance is 35 feet. We will be having a mandatory player evaluation as to have parity among the teams, as well as allowing the younger players time to learn from the older players. The Softball Chairperson and the Age Coordinators will form the teams based on the Rules of the “DRAFT”. No team may have more than 13 players, the intent is to balance each team with 10-12 players (11 is ideal). Games and practices are planned for Mon and Wed with some schedule changes due to weather or field availability. This division participates in the mid-season and end-season tournaments. Grade 5/6 Little League Majors. This is a player pitch division and uses a yellow 12 inch softball. Pitching distance is 40 feet. We will be having a mandatory player evaluation as to have parity among the teams. The Softball Chairperson and the Age Coordinators will form the teams based on the Rules of the “DRAFT”. No team may have more than 13 players. Games and practices are planned for Mon and Wed with some schedule changes due to weather or field availability. This division participates in the mid-season and end-season tournaments. Grade 7/8. This is a player pitch division and uses a yellow 12 inch softball. Pitching distance is 43 feet.We will be having a mandatory player evaluation as to have parity among the teams. The Softball Chairperson and the Age Coordinators will form the teams based on the Rules of the “DRAFT”. No team may have more than 13 players. Games and practices are planned for Mon and Wed with some schedule changes due to weather or field availability. This division participates in the mid-season and end-season tournaments. Grade 9-12 (High School). This is a player pitch division and uses a yellow 12 inch soft sided safety softball. Pitching distance is 43 feet. We will be having a mandatory player evaluation as to have parity among the teams. The Softball Chairperson and the Age Coordinators will form the teams based on the Rules of the “DRAFT”. No team may have more than 13 players. Games and practices are planned for Mon and Wed with some schedule changes due to weather or field availability. This division participates in the mid-season and end-season tournaments. The association provides two tournaments for the in-house league. A Mid-Season tournament in mid-June. The Mid-Season tournament is hosted by the association and requires parents to volunteer to help run the tournament for activities such as concessions, field preparation, set-up, and clean-up. The 3CV league has an End of Season Tournament to close the season in mid-July. This is typically a double elimination bracket tournament. The tournaments are a great time for the teams to play several games and enjoy a picnic lunch as a team - it is a great team building experience. The league is not planning on offering post-season all-star play in 2015. The purpose of the All-Star Team selection is to identify and select the players for the post-season All-Star teams who will best represent our League in post-season play. The intent of the system is to choose players based on availability, ability, residency, and league age. Players are selected by their peers and coaches during the first two weeks of June. The top 8 players are selected based on the voting results, ½ from Managers and ½ from Players. Manager selects the remainder of the team with in-put and approval by the Age Coordinator, Softball In-house Director, Player Agent, and President. Availability. Players must be available to play on the tournament dates to be selected for the All-Star teams. Residency. Players must reside within the Chanhassen Little League boundary. The Chan Little League boundary is the same as the boundary of the Eastern Carver County school district plus a slight addition below the Minn river into Shakopee. · Does not include player's individual equipment: helmet, glove, sliding shorts, shoes, and face mask. Players are expected to provide this equipment themselves.